Giveaway! 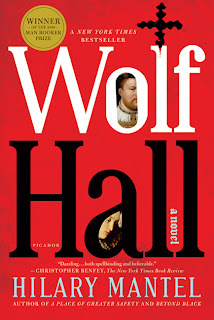 Wolf Hall by Hilary Mantel now in Paperback! The Man Booker Prize winnner of 2009 that took readers by storm was Hilary Mantel's Wolf Hall... and it is now out in Paperback! Check out the Readers Guide here! Fellow facebook user? You can officially "LIKE" Wolf Hall on their facebook page here which is the official Facebook fan page of Hilary Mantel, run by Picador. You want a copy for yourself? Comment here with your email address letting me know your interests in Tudor history! +1 for each facebook or twitter or blog shout out linking to this post.